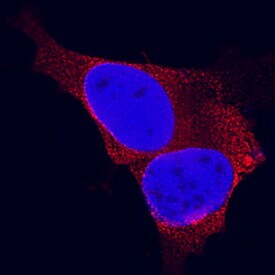 Synaptophysin (also p38 and BM89 in mouse) is a 38 - 40 kDa member of the synaptophysin/synaptobrevin family of proteins. 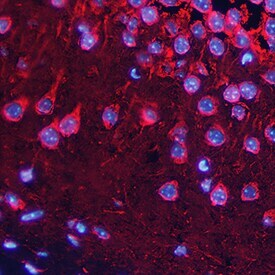 It is expressed in neurons, and interacts with VAMP2 at an early stage of vesicle formation, guiding VAMP2 placement into secretory vesicles that are destined for release upon stimulation. Human Synaptophysin is a four transmembrane protein that is 313 amino acids (aa) in length. 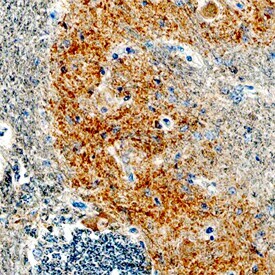 It contains two luminal domains (aa 50 - 106 and 162 - 199) and a cytoplasmic C-terminal targeting region that specifies its localization (aa 214 - 313). Synaptophysin forms homodimers and oligomers, and heterodimerizes with VAMP2. There is one isoform variant that shows a six aa substitution for aa 35 - 313. 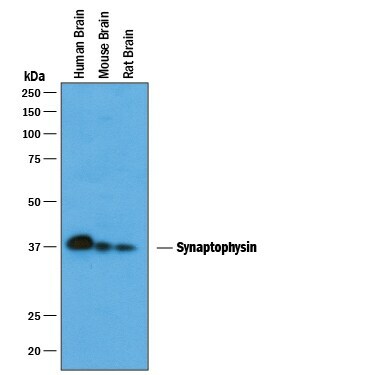 Over aa 50 - 106, human Synaptophysin shares 89% aa identity with mouse Synaptophysin. 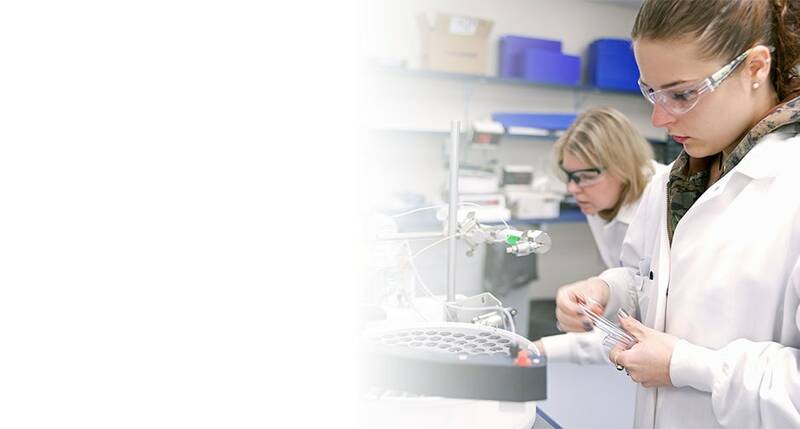 "Synaptophysin" has 2 results in Products.